Applications for our Nursing Associate Apprenticeship September 2019 intake are now open. Please select the how to apply tab for further details. 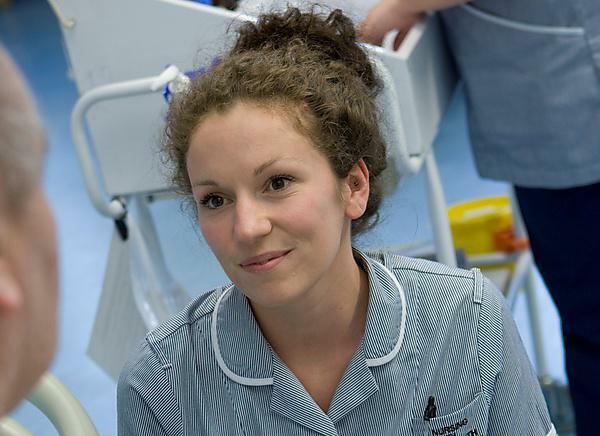 Our Nursing Associate Apprenticeship enables both new and existing healthcare staff to study for a fully-funded FdSc in nursing whilst in paid employment. The programme provides employers the opportunity to up-skill their workforce and plan to meet current and future healthcare needs. Delivered by experienced Registered Nurses, the flexible, work-based programme provides apprentices with the knowledge and skills to support the provision of quality care across a range of healthcare settings. Apprentices will become an important part of the nursing family, helping to make a difference to individuals, their families and communities. Once qualified, Nursing Associates may work across a wide range of healthcare settings, including acute or community hospitals (across a range of clinical areas); community nursing teams and GP practices. The potential apprentice will be required to complete an Initial Needs Assessment (INA) with the support of their employer and the University to ensure the Apprenticeship programme is an appropriate solution to their skills development needs. On completion of the INA the University will assess the information provided and determine the next steps. The employer must request the Initial Needs Assessment by emailing apprenticeships@plymouth.ac.uk. We can support employers in accessing funding via the apprenticeship levy or provide alternative funding options to minimise or eradicate any up-front cost to the organisation. Co-funded: Non-levy organisations and levy who have exceeded their levy contribution. If the annual pay bill of your organisation exceeds £3 million you will pay for your apprenticeship training through your levy account. If you have exceeded your levy contribution you will fund apprenticeship training through the co-funded model – to better understand how this will work please contact us. If you are a non-levy paying organisation (the annual pay bill of your organisation is less than £3 million) or you are a levy organisation who has exceeded their pot, the government will financially co-support your apprenticeship training – they will contribute 90 per cent of the costs and the employer will contribute 10 per cent. Ability to work at academic Level 5. On successful completion of the Nursing Associate Foundation Degree, employees may be interested in becoming a registered nurse. The Nursing Degree Apprenticeship is a flexible, work-based route for both new and existing healthcare practitioners.